If your home floods due to a pipe burst or rain storm, you can call the water damage Atherton experts at 911 Restoration of San Jose and they will be at your door, ready to get to work within 45 minutes of receiving your call. We know how important it is for homeowners to get help quickly after water has flooded their home and soaked their possessions, so we keep our office available 24/7/365, allowing us to act fast in any water-related situation. We provide customers with same day services for all their water disaster needs, so when you contact us you can be sure that you will be getting assistance as soon as possible. Our water damage Atherton plumbing technicians are licensed, bonded and insured to remediate all types of flood and leak damage, so you can rest assured that when we are on the job, you are getting the most competent workers in the industry. Call our water damage Atherton team with 911 Restoration San Jose and we will be at your door with professional grade equipment in no time! Before the winter months come rolling in it is important to prevent your water supply lines and plumbing from freezing. If this does happen, it will cause pipes to burst and cause leakage or, in some cases, complete floods. Drain all the water from your swimming pool and sprinkler system lines by following the manufacturer’s instructions. Remember to not put antifreeze in the lines unless otherwise directed. Remove the outdoor hoses from the water line and drain all the water out of them. Close the inside water valves that supply water to the outdoor hose. Once water is drained, keep both the outside and inside hose valves open to allow water to drain out. This will allow any remaining water in the pipe to expand without causing a pipe break. Check around the home for water supply lines that are located in cold places. This usually includes the basement, crawl space, attic, garage, and under the kitchen sink and inside bathroom cabinets. Insulate both the hot and cold water pipes. Install products that insulate water pipes, such as a pipe sleeve, heat tape and a heat cable. You can even use newspaper to provide some insulation, as long as it is at least ¼” around, it will provide protection from the cold in areas of the home that usually freeze. 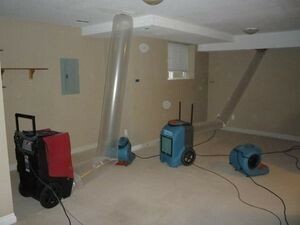 Your safety is our first priority, and we want to make sure that you stay protected all year long, so call our water damage Atherton flood removal operation when you need help with a burst pipe or other plumbing issue, and we will give you a free home inspection immediately upon arrival. Your wellbeing is our number one priority, which means that we will do whatever it takes to get your home up and running again, as well as take care of you. In order to make this process easier, we will file your insurance claim for you, and submit all the information needed to get the coverage you deserve. Our technicians also realize that these situations can be extraordinarily difficult for people to deal with, and to aid in the process we will even fill out the insurance paperwork for our clients so they don’t have to. If for some reason your insurance fails to cooperate, then you can stay calm knowing that we offer affordable prices on all of our water disaster situations. Call our IICRC certified water damage Atherton agents with 911 Restoration San Jose and you will see how we can get you off to a fresh start today!